How to have a great Valentine's Day in the classroom. 1. Limit the candy consumption. Depending on your school policy for Valentine's Day and other holidays, error on the side of less is more. Students will have candy, students will bring balloons, students will want to celebrate the holiday of love. In preparation I would always buy a bag of candy or two for my students to celebrate success or good behavior. This is how I would start class on Valentine's Day, "Today's goals are ....x.......y ........z..., If you accomplish them, then you will be rewarded with 2 minutes of candy time at the end of class." That two minutes of candy time always sealed the deal. Students appreciate a structured class on such a chaotic day. Make sure your objectives for the day are clear and reward them appropriately for completing the tasks. 2. Book bags in the front of the room. Keeping book bags in the front of the classroom allowed students less temptation to get in their bag for more candy or other Valentine's items. Less behavior problems, less time talking about the book bags and other items, and more time learning. 3. Plan for a Valentine's Day activity. 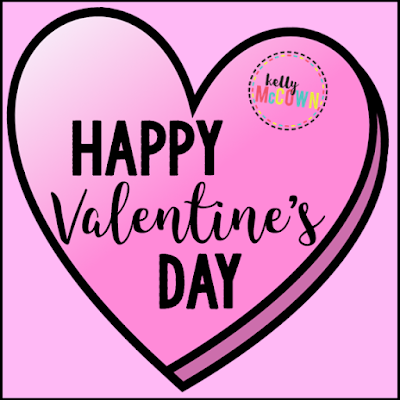 Your entire lesson plan does not have to be Valentine's based, but if you acknowledge the day with an exit slip or bellwork question, your students will remember it more. Creating an environment to celebrate and acknowledge fun holidays is always helping in developing rapport with your students. However you decide to celebrate or acknowledge Valentine's Day remember to have fun. This is a great opportunity for building relationships with your students. Valentine's Day is a great way to show the students you truly care about them and their success in your class.